2013-2015, we worked for Google, by using equipment like Street View Car, Trekker and Tripod to collect imagery for Google Street View in Cambodia. Now, we are working with Google to shoot your business and publish on Google Maps. Please visit our "Portfolio Page" to see what it looks like. We strive to make technology easy, accessible and relevant to the big, medium and small businesses. We help business owners leverage on the power of Google’s network and technology. 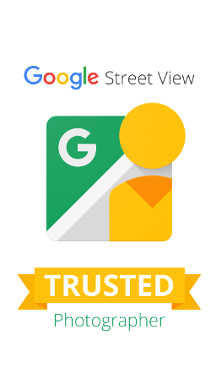 We take Street View technology of Google into your business and location, allowing potential customers to walk around and interact with your business interior from any smartphone device, tablet or computer. You can enhance your business listings and attract the attention of more new customers with a detailed virtual tour powered by Google.